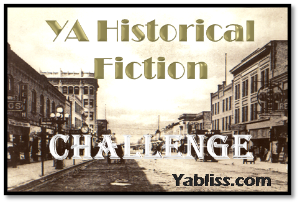 Coming in under the wire on the last day of the year, here is my 5th review for YA Bliss’ 2011 Young Adult Historical Fiction Challenge. I said I would read and review five books and, while it was a near thing at the end, I did it. I picked up Kimberly Brubaker Bradley’s Jefferson’s Sons a few days ago, in the middle of the afternoon, and I couldn’t go to bed that night until I’d finished it. Action-packed? No. Lots of tension around the physical horrors of slavery? No. Why couldn’t I put it down? Three reasons: The characterization is exquisite. Bradley writes in multiple points of view, and each speaker has a completely distinct feel and energy. In fact, every character in the story is full, real, and layered—whether or not they have a say in actually telling the story. The premise question is unique. How would it feel to be the child of the man who wrote these words: “We hold these truths to be self-evident, that all men are created equal…” and to be owned, as a slave, by that writer? That father? The stakes: incredible. I don’t know if this is historical fact, but in Bradley’s story, Jefferson has promised Sally Hemings that he will free all their children as they each turn 21 years old. Will he remember? Will he make a will before he dies, that states this promise? Will his heirs respect the will? Freedom. Life. It doesn’t get much stronger than that. The anger and disgust I felt as I read must only be the tiniest drop of the emotions Jefferson and Hemings’ children felt. Confusion. Hatred. Love. Respect. Hope. Contempt. The list could go on forever. And somehow Bradley pulls all that together and writes an incredible book—in a structure that I would have sworn would leave me irritated, but didn’t—that worked perfectly. Bradley starts with the oldest son’s point of view, then passes onto his younger brother, then leaves that point of view for one of an even younger child—but one who isn’t Jefferson’s son, who isn’t going to be freed at Jefferson’s death. There is magic in having the children tell the story, rather than their mother, or one of the older slaves. We see the moment each child comes to the realization of what they are—not just a child, not just a person, but an owned human being—and what that means for their life. The pain of that moment is excruciating. Over and over and over. That is almost all curiosity, though, because—as I said—I “get” Harriet as wonderfully as I get the other characters. I get her purpose, her acceptance of her mother’s plan for her, and her absolute determination to get out of the world she has grown up in. As I get her brother’s reluctance and fear about the same step, her other brother’s sadness, and her younger brother’s equanimity. I even get Jefferson in this story. As a character, Bradley has made me believe in the man she envisions could have this split in his personality—an incredibly intelligent, apparently kind man, who kept slaves, who kept his own children as slaves and could not see the cruelty in every smile he gave them. That’s as a character. As a person who truly existed, this story has made me feel more anger and hatred toward Jefferson than I had even let in before. That feeling you have of just wanting to shake sense into someone? I had it every time Jefferson appeared on a page, every time I saw him through these children’s eyes, through their attempts to reconcile all the things that couldn’t be reconciled. This book stayed with me. Every time I woke during the night after I’d finished it, I was back at Monticello, back with these people going about their daily lives and not knowing what would come to them, not having any control over what that would be. Moment after moment, as I read, I felt like I wanted to throw up. And I mean that as the highest compliment to the author. A disturbing book? Upsetting? Oh, yeah. Gave me chills. Great job, Becky. As you say, disturbing. I’ve been hearing great things about this, Becky. Thanks so much for the detailed review! MUST get my hands on this book. Amy, it was a surprise to me how much it hit me. I think I was expecting less, and it doesn’t start up super fast, but, boy–the emotions are intense.